Jarno Trulli says Italy has only itself to blame for its lack of F1 drivers as there is “no system” in place to help youngsters. With Caterham’s announcement on Friday that Trulli would be replaced with “immediate effect” by Russia’s Vitaly Petrov, Ialy was left without a single driver on this year’s grid. It is the first time since 1969 that Italy has suffered a driver drought and Trulli reckons the country’s lack of support for budding talent is responsible. “Formula One without Italian drivers is a shame,” the 37-year-old told Italy’s Ansa news agency. “I’m sorry but the problem is not mine: others must take responsibility for this impoverishment, for a situation that in fact did not start yesterday and that people have not woken up to. 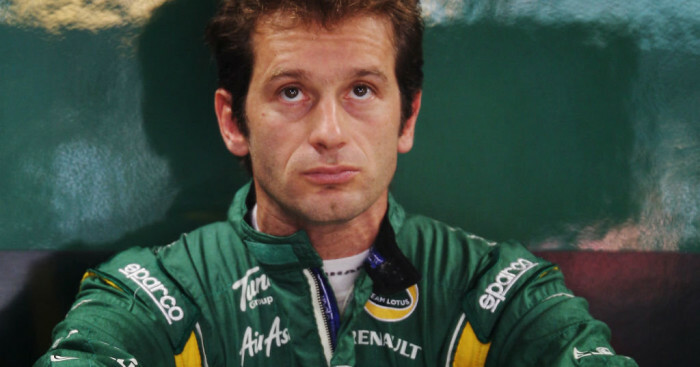 However, it now appears that Trulli was expecting that he would have to make way for Petrov’s millions in sponsorship. “Personally I’m not displeased: I was prepared for a possible divorce from Caterham, in the knowledge that the difficult economic situation would have pushed the team to find an adequately-supported driver.